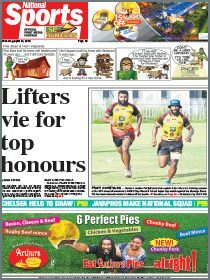 THE use of state funding on the Pacific Games must be properly accounted for after revelations that there were multiple instances of builders inflating their costs to as much as 96 per cent of the original tendered price. This threatens to taint the event with a mark that could literally take years to remove. The 2015 Pacific Games held entirely in Port Moresby was deemed a success in terms of the competition – Papua New Guinea topped the medal count with 88 gold medals – and the cultural and social impact of unifying not just the country in the 100 days leading up to the July 4-18 event but all the visiting teams as well. 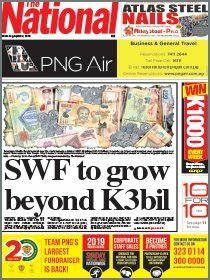 The cost of the Games was estimated at K1.2 billion and the number of world class venues and facilities built made PNG the envy of the Pacific Islands. But the amount was a pre-Games figure and now a full audit is needed of all expenditure and justification for the spending as well as who approved the payments. As a natural course of business this act is very much in order. One of the main problems that the Games organisers faced in the build up to the event was the construction of venues which was generally considered to be behind schedule. The Sir John Guise Stadium (K78 million) and indoor complex, the Taurama Aquatic Centre (K190 million), the Bisini sports grounds and the Games Village (K300 million) were the major projects the state committed to funding. All these venues/facilities had price tags on them that were bordering on steep to begin with but the country had bid for and won the right to host the Pacific’s biggest sporting event in 2009 and that commitment needed to be honoured – the only problem was that it came at a price. can be done that would not have normally been the allowed had the pressure of a shrinking timeline been absent. When things are rushed through the probability of mistakes and oversight is higher than normal. News this week that an expatriate involved in the construction of one of the Games venues was detained by police after attempting to leave the country is of concern. The National Fraud and Anti-Corruption Directorate has launched an investigation into the how the costing of some Games projects were grossly inflated to the point where serious questions needed to be asked about how the and why these figures were arrived at and if they were justified given the size of the task and original estimates. The central Supply and Tenders Board, the lawful body that is supposed to regulate spending an major and important state projects for the public benefit was basically used as a rubber stamp in the months prior to the Pacific Games – all in the name of the getting the job done and meeting the deadline. But one has to wonder at what cost the people will bear in the years to come if and when it is revealed that the state may have paid in total an amount in access of the initially forecast K1.2 billion. There needs to be a complete and thorough investigation into the activities of every individual associated with the Games; men and women who had the power to make funds available and direct where the money needed to be allocated and those who then managed it. If this country can suffer the plundering of its national coffers by law firms in the name of carrying out legitimate work then who is to say a two-week event which supposedly cost the country well over a billion kina and completed in a rushed fashion does not have anything to hide? Certainly, the people need to know how their money was spent and who really benefit and if any of it was used inappropriately. That is the Governments next big task. The Games maybe over but the war against corruption will carry on.